Starbucks always fascinated me. I picked up a book “The Starbucks Experience” and read about the amazing organization. Starbucks produces the perfect cup of what I call liquid love. I found Starbucks stores around the area did not follow what was written in the book. This took place at the start of Onward’s story. Onward is an excellent book on leadership. It offers a transformational plan of hope that doesn’t forget the human side of things. The book talks about the romance of coffee. While this may not seem to have anything to do with leadership, as you read you’ll see it has everything to do with it. For Starbucks coffee is the main thing. It is easy for organizations to get off the main thing. I picked the book up at Starbucks. As I read I found myself sipping my grande vanilla latte triple shot with whip cream, day dreaming about my first cup of Starbucks. In the business of life I forgot how much I enjoyed coffee. Organizations can forget the romance of what they’re about. One key thing I discovered is rapid growth can knock you off the main thing. Growth becomes the objective and not your core. Growth is a good thing. It’s key to many organizations. When growth dominates losing the main thing is very quick and subtle. I became stuck on good coffee after a month of drinking nothing but Starbucks. Coffee went from a drink to an experience. When I got back home, I put in the ‘current brand’ of I used at the time. I took a sip. I spat it out and visited my first Starbucks store. When an organization loses what’s core, it’s not palatable. A proverb my Grandpa often said: “If you want the job done right you need to give people the right tools.” Starbuck’s rapid growth masked a venti sized whole… infrastructure. The discussion on equipping people with the right tools and supporting the team was critical to Starbucks turn around. Infrastructure and the right tools places a foundation to sustain growth. The most refreshing thing about Onward is something so vitally missing from our culture: humanity. Howard Schultz should be commended for running a business that does not forget humanity over profit, humanity over difficult decisions and humanity over what’s best for each store. This stood out most in the discussion on why Starbucks offers healthcare to even part time employees. Howard’s love for his dad was evident. Never forget where you came from. It would be a different world if organizations helped people didn’t just use them. Abstract aspects that detail number cruncher types cannot wrap their minds around came up often. I’m not criticizing these types of people, they’re important. It is difficult to lead the ‘numbers types’ when you’re a dreamer. Onward will help you greatly in navigating this challenge in building your team and organization. 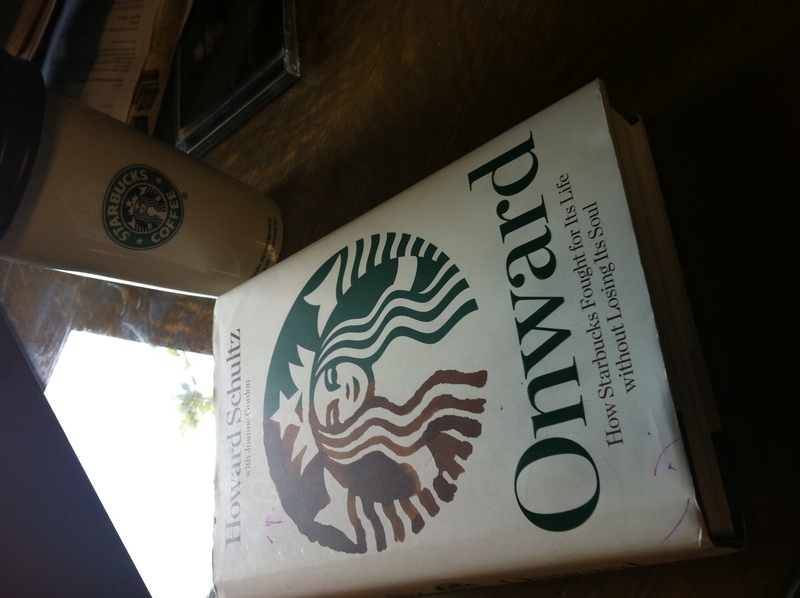 Onward by Howard Schultz is a must read leadership book. It combines all the essential elements for leadership. It also offers hope. Even when an organization loses its way, it can turn around and get back on target. And, in that turn around it, organizations can embrace humanity in the process.